Delhi is a large metropolis with workplaces being often in far flung areas of town that people cannot access comfortably and in time for work. With timings of offices now being flexible enough to begin in the early hours and night shifts also making their presence felt, it is necessary for organizations to offer safe and secure transportation systems for their staff to arrive and leave on time and securely. 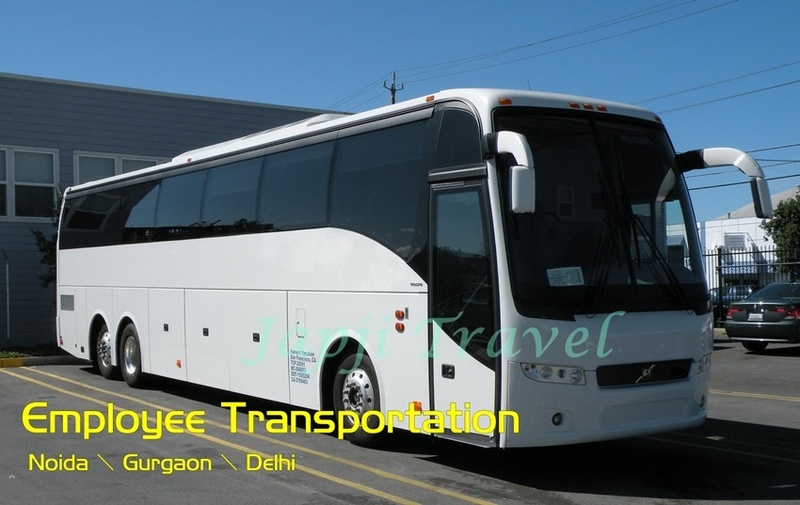 Depending on an organization’s needs, buses of different seater size can easily be arranged for Employees Transportation in Delhi. This will make it easy for staff to reach office on time every day and leave in a safe and secure environment. For these important reasons, organizations are now looking at either owning buses of various seater sizes or renting them in the long-term from car rental agencies. The organizations take care of all the employees properly. 12-Seater Tempo Traveller: You can choose an AC or non-AC variant. Your staff will need to be a mid-sized number. These buses are large, spacious, and extremely comfortable and have a lot of room to walk around. Leather seating, large windows, push back seats, music system, LCD screen, ice box, first aid kit are some of the features that will make your staff’s ride to work comfortable. 20-Seater Tempo Travellers: For your staff comprising 20 members, it’s best to go with a 20-Seater Tempo Traveller. These vehicles are available in AC and non-AC variants. Be seated in leather upholstery, get adequate head and neck rest, particularly for long distances, enjoy pushback seats, listen to music on the stereo system, and be secure that there’s a first aid box for emergencies. Plus, your driver and attendant will always be in uniform and be courteous to all passengers. 27-Seater Buses: These buses too are available in AC and non-AC variants. Pushback seats, FM radio and MP3 stereo are the highlights of this bus. These buses are entirely state-of-the-art in technology, safety and reliability. That’s why, they are ideal for staff transportation. Now that you can book a vehicle easily and flexibly in the long-term, companies are looking to tie up with bus owners of rental companies. The agency takes care of the fleet and driver administration. Big and small organizations of large cities should see the benefit of hiring the services of car rental agencies to transport their staff on a daily basis. They should enter into a mutually beneficial contract with such companies and work towards creating a secure environment for Noida, Gurgaon Staff Transportation. Special arrangements should be made to see that women are taken care of well and that they are not the last to get off neither the bus nor the first to alight. If such measures are implemented strictly and on a regular basis, transportation for office staff in the city of Delhi will be safe for others to follow. The transport companies will take on all your requirements for bus services and implement your needs to the letter. This entry was posted in Transport and tagged employee transport services, fix rental vehicle, Monthly Rental Vehicles, noida vehicle rent. Bookmark the permalink.